Looking for a unique foodie gift this holiday season? 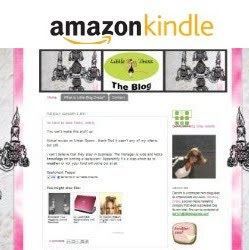 Encourage your readers to stock up the spice cabinet for the cook in their life! 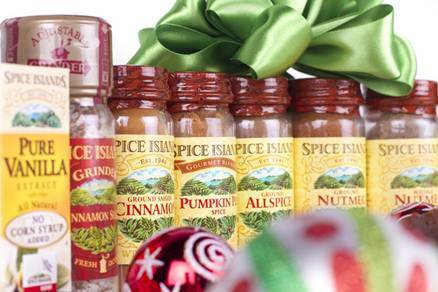 Spice Islands searches the world for the highest quality and most flavorful spices. They help new bakers add a little zest to their holiday cookies or give the experienced cook a chance to experiment with flavor. A custom Spice Islands spice set is something that any foodie would love! 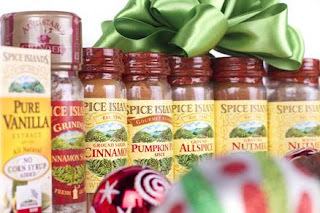 Here are some suggested spice gift set combinations. A basket, some stuffing and a plastic wrap and you will make your favorite cook or baker very happy! All spices and extracts are available at your local grocery store or Amazon.com.